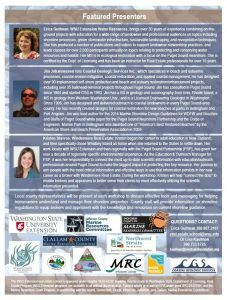 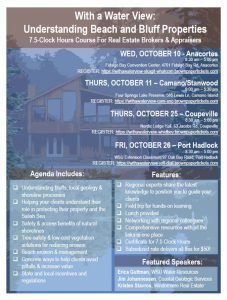 Workshops for Realtors: Understanding Beach and Bluff Properties – Experts in Puget Sound coastal processes, management, and cost-effective design since 1993. With a Water View is a one-day workshop designed for real estate brokers and appraisers to learn about coastal beach and bluff properties and how to help clients navigate this information and increase property value. 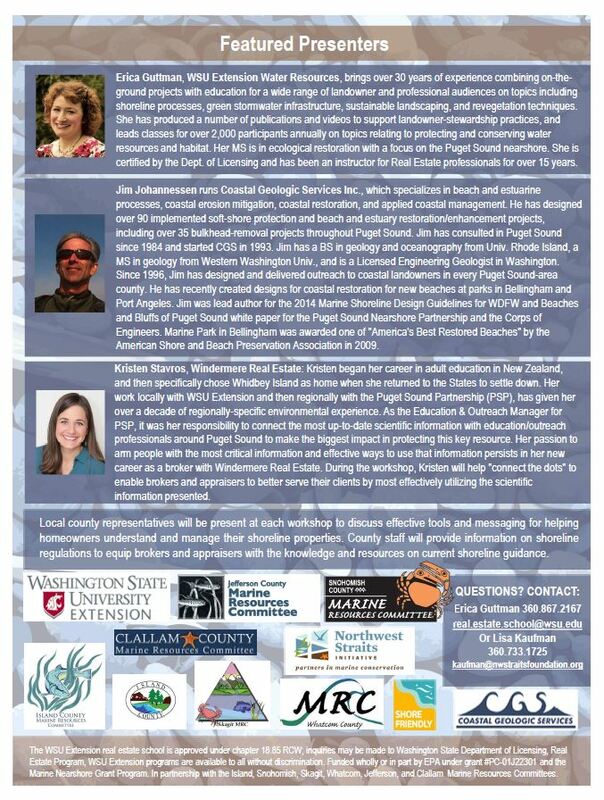 Upcoming workshops will be held in Coupeville and Port Hadlock and will discuss coastal geology, shoreline processes, erosion management, and more.